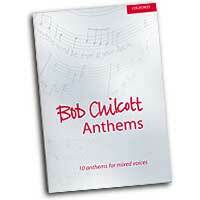 Bob Chilcott is one of the most active composers and choral conductors in Britain today. He has been involved in choral music most of his life - he was a chorister in the choir of King’s College, Cambridge, and sang the “Pie Jesu” on the renowned 1967 King’s recording of Faure’s Requiem, conducted by Sir David Willcocks. He returned to King’s as a Choral Scholar, and between 1985 and 1997 was a member of the British vocal group The King’s Singers. He has been a full time composer since 1997. Of his larger works “The Making of the Drum,” a cantata for choir and percussion has been extensively performed, by choirs including The BBC Singers, the Tower New Zealand Youth Choir, the Chamber Choir of Europe and the Taipei Chamber Singers. In 1999 the Finnish Choir Grex Musicus conducted by Marjukka Riihimaki released “The Making of the Drum”, an album of music for mixed choir by Bob. His two larger sacred works, “Jubilate” and “Canticles of Light” have also been performed extensively. In November 2005 Bob conducted “Jubilate” in New York’s Carnegie Hall. 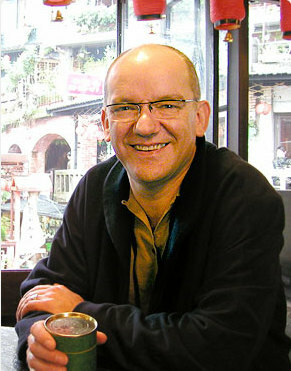 He has also written two contrasting works for professional and amateur perfomers to perform together, commissioned by “Making Music.” The first, “A Sporting Chance” was written for Onyx Brass and primary school choirs, and the second, “Tandem,” a work for two orchestras was commissioned in conjunction with BBC Radio Three. 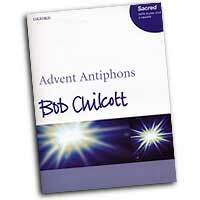 As a conductor Bob has worked extensively with choirs and festivals throughout the world. 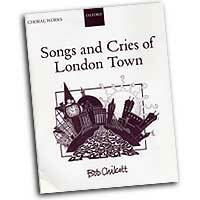 For seven years he was conductor of the Chorus at the Royal College of Music in London. He is Principal Guest Conductor of the BBC Singers, with whom he works regularly in studio recordings and concerts. He has also guest conducted the RIAS Kammerchor in Berlin, and the Elmer Iseler Singers in Toronto. He has twice been featured conductor for the youth project at Festival 500 in Newfoundland, and has conducted at festivals throughout Canada and the United States, including The World of Children’s Choirs in Vancouver, the Niagra and Toronto International Choral Festivals, and in 2003 was the first non-American conductor to conduct a National Honor Choir for the American Choral Directors Association, and this he did in New York City. He has been a featured conductor for Europa Cantat in Sweden, Germany and Belgium, and this year he conducted for the first time at the renowned Dartington International Music Festival in Britain. He has also been a featured conductor for the Japan Choral Association, and in 2004 was the first foreign conductor to conduct at the Song Festival in Tallinn, Estonia. 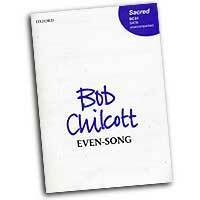 A new disc of works by the world renowned choral composer Bob Chilcott. 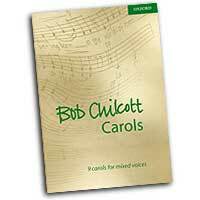 Bob has been involved in choral music for most of his life and since he became a professional composer in 1997 he has had over 100 works published by Oxford University Press. He was hailed by Gramophone magazine as "one of the finest choral composers at work in Britain today." This CD includes tracks with The Sirens, an ensemble of young professional women's voices specially created for this recording. Also featuring are a jazz trio with Alexander Hawkins on piano, Michael Chilcott on bass and Dereck Scurll on drums. 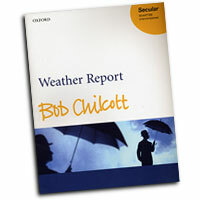 The works included here reflect the strong support and interest that Bob's vocal music generates, with commissions from a wide variety of choral societies, children & youth choirs and professional choruses. The world-renowned choral composer and conductor Bob Chilcott leads the BBC Singers, as well as the internationally recognised soloists Simone Rebello and Paul Silverthorne, in these new performances of some of his best and most loved choral works. 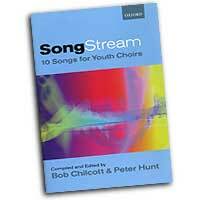 The choir is renowned as an expert ensemble and here they sing splendidly under Chilcott's direction. 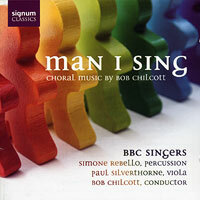 The selection of music on this disc has been well made to give a good variety of perspectives on Bob Chilcott's choral output - a resourceful composer and one who writes exceptionally well for voices and he is superbly served here by the virtuosity of the BBC Singers. 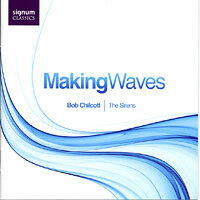 This is a glorious showcase of one of the finest choral composers at work in Britain today. 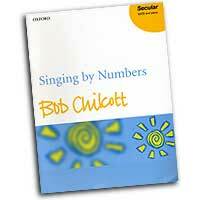 'Singing by Numbers' is a celebration of singing in all its various forms, using a diverse assortment of texts. 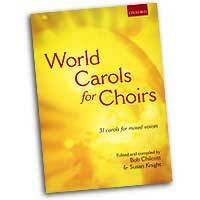 The seven short movements include items for upper (or children's) voices and men's voices as well as the full choir. Accessible, relavant, and heart-warming, these pieces will communicate directly with young singers and their audiences and freshen any concert program. 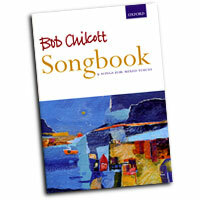 Bob Chilcott and Susan Knight have searched the globe for vibrant, exciting music representing a wide range of choral traditions and styles-from a powerful arrangement of an old Armenian hymn to a percussive Dominican "villancico," a carol in the style of Nigerian art music, a Polish folk carol, a new arrangement of popular Canadian carol, and much more besides. Each piece may be sung in its original language or in English, and pronunciation guides are provided for those who wish to sing the original texts. 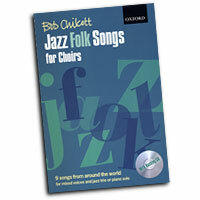 This collection will help to refresh the repertoire of choirs the world over, with most pieces suitable for choirs of all sizes and abilities. 31 carols for mixed voices.